All but six teams will be in action Wednesday, allowing many lineup combinations in DFS. We'll take things game-by-game, highlighting options for cash games and GPPs while going over some quick game script to build context. I'll be using FanDuel's format as a frame of reference, but the vast majority of content should still apply to DraftKings and other DFS sites. Generally, I try to avoid deploying players with a questionable tag, so that's why they often aren't presented as cash or GPP plays. On a smaller slate, you may have to take that risk. But in cases like Wednesday, there are a myriad of other options. Both of these squads have struggled with finding consistency, with the Magic one game under .500 and the Spurs one game over. The biggest storyline of the game is Nikola Vucevic (personal) being absent, opening up an opportunity for Mohamed Bamba to garner his first NBA start. He's presumably in line for 30-plus minutes, which makes him deployable in cash games and GPPs. On the season, he's averaging 1.1 fantasy points per minute, meaning he has nearly 10x upside Wednesday. Bamba will be chalky, but probably worth it. DeMar DeRozan can lead any slate in fantasy points, but his up-and-down play makes him only a GPP option. He has four games with at least 60 FP, but six games with fewer than 30. Bad patches have plagued Aaron Gordon as well, but hoping for 40 FP for GPPs is fair. He's especially enticing given the absence of Vucevic. Rudy Gay seems to either post 25 FP or 40 FP. 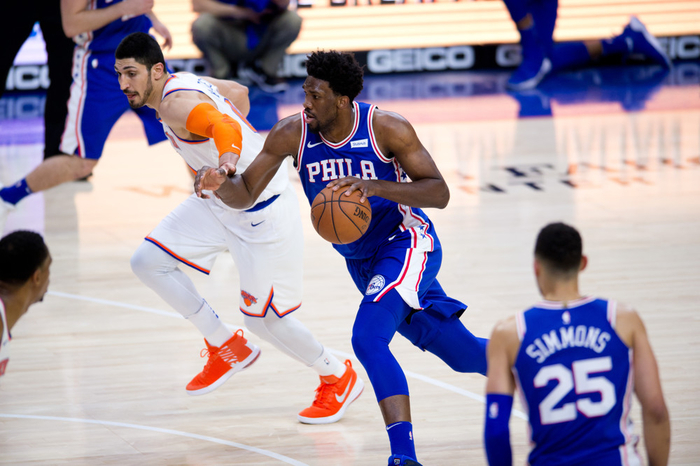 While Joel Embiid, Ben Simmons and Jimmy Butler are the clear Big Three in Philadelphia, only Simmons feels safe as a cash play for his price. He's averaging 44.3 fantasy points over the past 15 games and has slipped below 40 FP just once in the past six. From a GPP perspective, we know who Embiid and Butler are. The Knicks are chaos, however. I'll spare a detailed breakdown of each player's wild fluctuations – it's best to see it with your own eyes. I usually opt to stay away on a big slate like Wednesday, though I like Trey Burke's price as a flier. He's racked up 30-plus FP on four occasions when seeing minutes in the 20s. There is tons of value to be had in this matchup. Kemba Waker and Cody Zeller are Hornets staples and are priced appropriately for cash games. But Walker has cracked 50 FP just twice in the past 13 games and Zeller has cracked 30 just four times all year, so their respective prices aren't ideal for GPPs. Notably for the Cavaliers, you can run with Larry Nance and Jordan Clarkson in cash and GPPs. Nance is averaging 38.6 FP over the past six games and just went for 53.2 FP on Tuesday against the Pacers. Clarkson is averaging 28.4 FP this month and has gone for at least 33.0 FP seven times this year. He's just a bit pricy for GPP, but seems bound for low ownership on this massive slate and has a relatively high floor. The presence of Kelly Oubre complicates things for the Suns, notably for forward T.J. Warren. I have some worry about Warren's minutes/floor, so I'd feel most comfortable with him as a GPP option. Devin Booker and Deandre Ayton remain the Suns' other two consistent sources of offense, so they're always in play for cash. 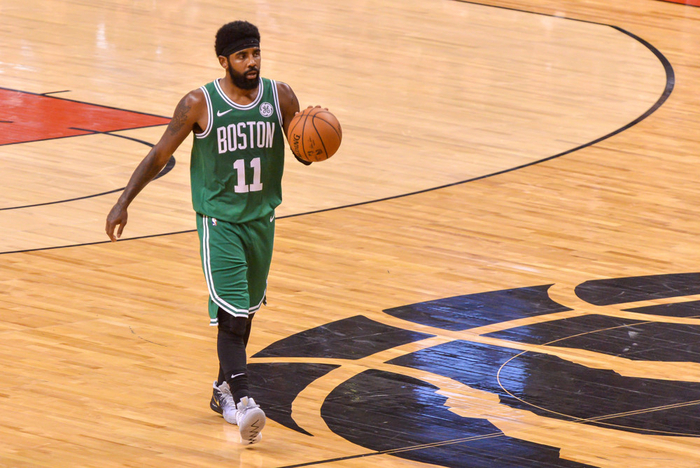 Similar things can be said, though less extreme, for Kyrie Irving and Jayson Tatum, at least given their prices. Marcus Morris has been a GPP play all year, though his value ceiling is a little low given what it costs to roster him. Jamal Crawford is a risky option, but has two games of 30-plus FP over his past three outings. This matchup will undoubtedly be a heavy target and could see some of the highest ownership rates on the slate. Essentially every Raptors player is up for grabs. Notably, Fred VanVleet sees 35.5 minutes when Kyle Lowry is out and Greg Monroe will be starting at center. A dark horse option for GPPs is Chris Boucher, who coach Nick Nurse noted will see minutes Wednesday. He led the G League in points per game (29.4) and averaged 11.6 rebounds and 4.6 blocks. For Indiana, Oladipo is healthy and ready to resume his All-Star production, while Myles Turner has found some consistency and upside after an underwhelming start. I have no idea what's gotten into Thaddeus Young, but he's racking up 42.1 FP per game over the past five, including an outburst of 60.2 FP. Again, I think this contest will be under a DFS spotlight and is a great source of theoretical value. Ownership percentages could be sky-high, however. If that's a strong concern, you may want to target other matchups. You can essentially avoid this matchup if you're in cash games, but I'd make an exception for Spencer Dinwiddie, who hasn't dipped below 25 fantasy points since the first of the month and has averaged 33.1 FP after that low point. Rondae Hollis-Jefferson could also be worth checking out, as he's averaged 28.6 FP over the past seven. He serves as a GPP play, too, as he's posting 33.4 FP over the past three games. With Zach LaVine (ankle) out, the Bulls need to score somehow, though everybody is a GPP option. Lauri Markkanen has posted 40-plus FP four times in eight games. Kris Dunn posted 41.9 FP in his third game back from injury, but his other totals are 23.9 FP, 11.8 FP and 19.6 FP. Justin Holiday has been a GPP flier all year, having eclipsed 35 FP in eight games. Joe Harris is a low-ownership play, especially on this huge slate, and has passed 25 FP in 12 matchups. Allen Crabbe's absence helps fuel Harris' potential. There should be no surprises with this matchup, as both squads are quite set in their roles. 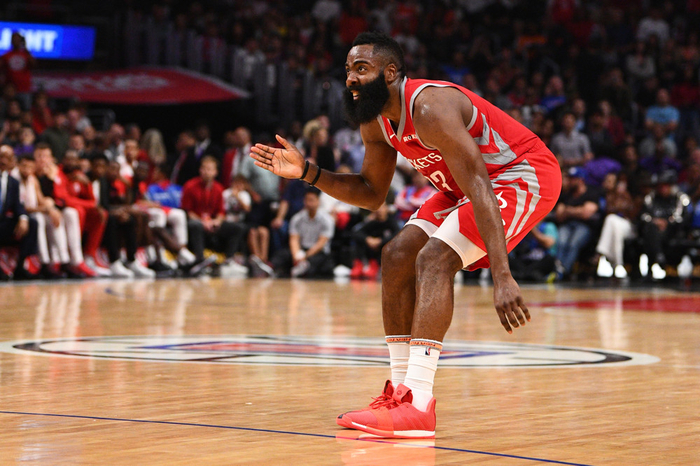 For the Rockets, James Harden, Clint Capela and Chris Paul make up the core and are reasonable cash options. Given his MVP upside, Harden is always on the table for GPPs as well. John Wall and Jeff Green feel equally risky, which is a testament to how the Wizards' season is unfolding. Still, Wall has upside of 60 fantasy points, with games of 78.2 FP and 64.7 FP under his belt. Green has passed the 30-FP mark five times. Trevor Ariza posted 51.6 FP (six steals) during his first game as a Wizard. I'm not expecting that to happen again, but he's expanded his ceiling this season by adding passing to his repertoire. His 3.4 assists per game are Ariza's highest mark since 2009-10. This is another contest that should be a target for most DFS users. With Nikola Mirotic (ankle) and Julius Randle (ankle) both out, the Pelicans will be desperately thin in the frontcourt. My assumption is Anthony Davis will play more power forward Wednesday, while Cheick Diallo eats minutes at center. He's averaging just over one fantasy point per minute and could easily see minutes in the upper-20s or low-30s. Aside from that dynamic, the usual suspects are in play. Anthony Davis is especially enticing, as he'll presumably pick up tons of extra usage. I wouldn't hesitate to pair him with Jrue Holiday, as the Pelicans may have to keep things simple on offense with a barrage of pick-and-rolls. Blake Griffin is one of the best cash game options in the league and is, frankly, worth playing every time the Pistons suit up. Derrick Rose and Andrew Wiggins have also found consistency. With Jeff Teague (ankle) out, Rose should be targeted in GPPs as well. Tyus Jones has potential as a low-cost flier, as he posted 33.6 FP in 24 minutes during Minnesota's most recent tilt. 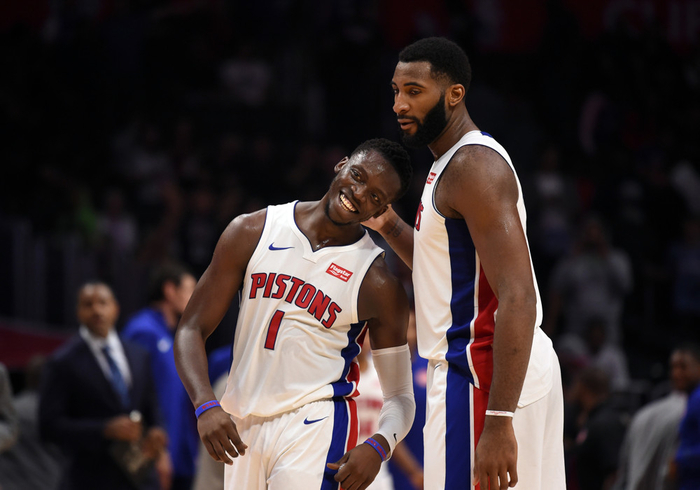 In sticking with GPPs, Karl-Anthony Towns, Andre Drummond, Robert Covington and Reggie Jackson have been options all year. That doesn't change Wednesday. The loss of Teague could mean an expanded role for Towns, which makes me lean his way. There are a ton of DFS options in this contest, but none of them reel me in. The Jazz as a whole have been puzzling, unable to re-create their success from last season despite essentially no roster turnover. Rudy Gobert seems to be the best option from Utah, deployable in both GPPs and cash games. Discounting his recent ejection after three minutes, the center has dipped below 35 FP just once since Nov. 28, and he's cracked 50 FP three times since then. Donovan Mitchell is usable in GPPs, but his price is far from enticing. The usual Warriors crew are cash plays. I do like Steph Curry and Klay Thompson for GPPs, too, given their respective prices. If you're looking for someone with high upside who should have low ownership, I think Thompson is the sneaky play. Focus should be on other games with more theoretical value and faster paces. 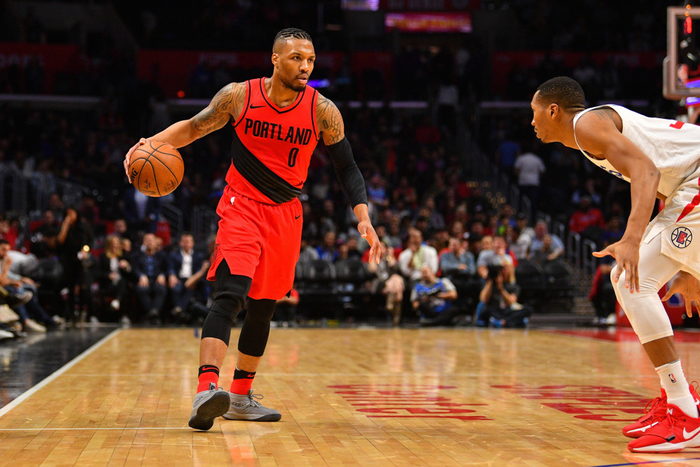 This game is one I'll generally be looking to avoid, though I think Portland's core is worth exploring for cash games, and Damian Lillard's upside can be worth chasing in GPPs. With Mike Conley (hamstring) potentially out for a second straight game, the Grizzlies may look to slow the pace even more than usual. Omri Casspi ($4,000) posted 32.2 FP in 21 minutes during Conley's absence. I just don't imagine him exceeding value that much again. Marc Gasol is a GPP option almost out of principle, but his recent stretch is discouraging (29.8 FP per game over the past nine). It's not the risk I'm looking to take Wednesday with so many other options available. Russell Westbrook, Paul George and Steven Adams are one of the most consistent three-man crews in the league, making them cash game constants. For Sacramento, Buddy Hield has shown comfort in the offense lately, averaging 29.6 FP over the past nine contests. He becomes a GPP option with upside of 40 FP if Iman Shumpert (hip) and/or Bogdan Bogdanovic (foot) are sidelined. The absence of Marvin Bagley (knee) has cemented Willie Cauley-Stein's minutes at center, though his price doesn't seem to have caught up yet. Aside from the Kings' most recent game where coach Dave Joerger unexpectedly sat the starters for most of the game without warning on the second half of a back-to-back set, Cauley-Stein is averaging 37.5 FP since Dec. 8. Westbrook's MVP-caliber numbers are worth gambling on in GPPs. DFS users looking for a cheaper option may turn to De'Aaron Fox, who has surpassed 45 FP six times on the year and four times this month.